The Rev. Dr. Bill Steinberg is the founding pastor of The Church of the Resurrection. 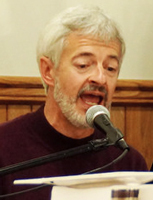 The son of an Episcopal priest, Bill grew up in the Midwest and Oregon. He graduated from Western Oregon State College and went on to receive an M.Div. degree from Church Divinity School of the Pacific in 1987. Bill earned a Doctor of Ministry degree from Seabury-Western in 2003. Bill brings to CTR a great desire to see people come to, and continue growing, in faith. He has a wealth of experience in congregational development and in strengthening lay ministry. An engaging and creative speaker, Bill has a knack for making the Bible come alive for his listeners in new ways. Steve is on extended leave of absence in order to serve as Interim Rector at another Parish. 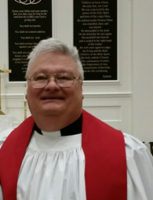 Steve is an ordained priest in the Anglican Church of North America and the Diocese of the Carolinas. As Pastor of Administration and Congregational Care, he provides ongoing pastoral care to CTR families, as well as visiting and praying with those who have made an emergency trip to the hospital or have a scheduled surgery. Steve is the celebrant for some of our Sunday services and preaches at others. He also works directly with those who are responsible for the administrative aspects of our Church. 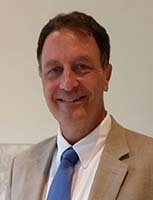 Prior to entering his ministry vocation, Steve was a professional management consultant for over 30 years, including having been the Western Region Partner-in-Charge of Financial Services Consulting for Deloitte. For over 40 years, Steve served as a volunteer firefighter and EMT. He was also a Lay Bible Teacher at churches in Northern California and Raleigh. Steve is completing his M.Div. degree at Gordon Conwell Theological Seminary, Charlotte Campus. He and his wife Janet live, along with their Beagle, Jemimah, in North Raleigh. In addition to his great skill, Brian brings to CTR a love for Jesus and a desire to help people enter into heartfelt worship of Him. 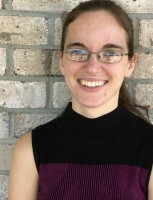 Ruth is from New England, where she was born and raised and graduated from seminary with a Master’s degree in biblical languages. While in New England, she was a member of and actively involved in All Saints’ Anglican Church in Amesbury. Her roles over the years included teaching a course for the women’s Bible study, hosting a small group with her husband, Adam, participating in Lay Eucharistic Visiting, volunteering in the nursery, and coordinating nursery volunteers. 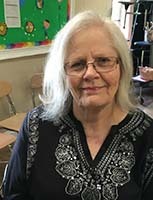 She enjoys being part of a congregation that actively takes care of and disciples the children among them, and looks forward to being a part of that process at Church of the Resurrection. She and her husband, Adam, have two boys, David and Aidan and live in Fuquay-Varina. 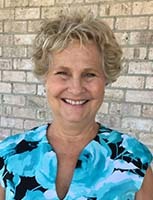 Susie Olson has recently joined our team and more information will be coming soon. Sharon Sexaur is a charter member of The Church of the Resurrection and a steadfast servant to her faith family. She serves the children of CTR every Sunday morning as the Nursery Coordinator. The Leadership Team plays a very important role in the life and growth of The Church of the Resurrection. Meeting monthly, TLT discusses and makes decisions on congregational issues ranging from church finances to strategic planning to fellowship outings.